Something that sticks out most of all from this wonderful song from new talent King Krule (formerly Zoo Kid, and actually aka Archy Marshall; that's him there, that's his face in that picture on the right), aside from his rather striking voice, is the homage paid to a band that probably provided a lot of inspiration - The Streets. 'How can we tell that?' I hear you thinking. Those are some lines from a song about taking a fork in the road, taking either a good or a bad path (to put it simply), called 'Empty Cans' from A Grand Don't Come For Free by The Streets. This band had a big effect on me and many others my age and around my age like King Krule, not because they were amazing to rock out to or anything like that, but simple because their frontman - Mike Skinner - rapped, if you could call it that, about everyday life. And not just any everyday life, but the average everyday life. Not the crumbling ghettos, and not gated communities where millionaires swoon, but somewhere in between. It resonated with a lot of people and as a result they got quite popular. So popular and so well-liked that they are referenced in songs like this one. But on to the song itself. It's just great. I love it. The vocals are utterly unpolished, reflecting a want to tell things in a way that doesn't detract from the feeling involved in the lyrics. To have a good voice is one thing, but to have a voice that, however coarsely, paints a perfect picture of whatever it is you're trying - now that is another thing entirely. Everything about this song, in fact, is unpolished to complete punk aesthetic. The drums are purposely abandoned as empty shells of snares and kick, the guitar is somewhat haphazard, but it works. And that is the key thing. With a song as raw as this one, about hitting rock bottom (as the title aptly suggests), keeping the sound from compromising that feeling is an important thing indeed. Can't get over that voice. 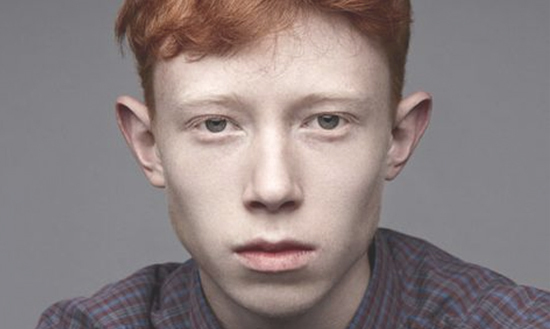 Looking forward to hearing more from King Krule - wondering, in a worried kind of way, if things will become more polished next time around. This was the new video (released today) for 'Rock Bottom', which is out now.